Please check here for all currently supported games. This does not involve actual game patching but only shortcuts the already build-in camera controls of those games to the analog stick. Depending on the game this will work differently good or bad! Like sometimes there might be a small delay or you'll only be able to look left or right, but thats all game depending and better than nothing imo. 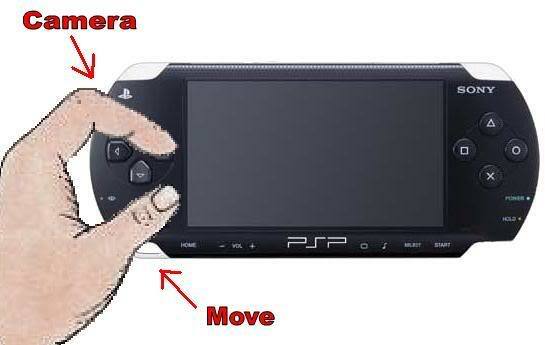 Also if a game uses a trigger button + the left analog stick for camera movement you obviously won't be able to walk and move the camera at the same time for example. Also some games are disabled by default in the .ini file due to the native patches by TheFlow. Use those plugins instead! Copy the prx & ini files to your seplugins folder and add "ms0:/seplugins/camera_patch_lite.prx 1" to the game.txt file. Any chance of adding Marvel Ultimate Alliance 1 and 2 to the patch? nahucirujano wrote: Thanks for sharing this. Hm. I don't exactly understand what this is. Why is a patch needed for some of those games? For example, I have played games like Battlefront 2 and Monster Hunter on Adrenaline, and I could re-assign the camera buttons to the right stick through the vanilla menu. What is the benefit of this patch? yoshinatsu wrote: Hm. I don't exactly understand what this is. For those games nothing much aside that you don't have to configure that yourself anymore. But there are plenty of other games that you can't map that way since they need a combo for the camera. For example Assassins Creed, Tomb Raider and so on. Oh, I see. If that's the case, I guess you could easily add the two Trails in the Sky games to your plugin as well. They normally use the L and R buttons to rotate the camera, but personally I assign them to the right analog stick like modern games. yoshinatsu wrote: Oh, I see. If that's the case, I guess you could easily add the two Trails in the Sky games to your plugin as well. I wondered if it would be possible to add "God of war - Chains of olympus" and "God of war - Ghost of sparta", in these two cases the right analog stick would not be to move the camera but for Kratos to make loops, in the same way that in the games of this saga in PS2 / PS3, in PSP you should press L + R + analog stick. __snake__ wrote: I wondered if it would be possible to add "God of war - Chains of olympus" and "God of war - Ghost of sparta", in these two cases the right analog stick would not be to move the camera but for Kratos to make loops, in the same way that in the games of this saga in PS2 / PS3, in PSP you should press L + R + analog stick. This could easily be a plugin on its own but yes I just added it! Fantastic, thanks a lot for the speed I'll try it this afternoon. Another question about the plugin, will it work on Adrenaline running on PSTV and playing with DS3 ?